Thirteen members of 37th Signal Regiment participated in the Royal Signals Alpine Ski Racing Camp in Stubital, Austria. Their team members ranged in skiing expertise from novice to expert levels as they trained in testing conditions with up to -30c with the wind chill. Over the course of the camp their Reservists took part in a variety of Giant Slalom events and Slalom races. A real achievement for the Regiment was a 3rd place ranking in the very competitive Giant Slalom team event. Captain Anna Andrews-Reed was awarded as the top female overall, coming 1st in the individual Slalom and Giant Slalom. 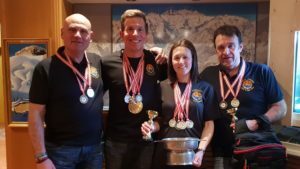 She was also the top placing Reservist and Veteran in the Giant Slalom competition, ahead of the Regiment’s own Warrant Officer 2 Gaz Williams and 2nd Lieutenant Nick Marshall. Warrant Officer 2 Si Nicholson was awarded as the top Reservist and Veteran overall, as he held off strong competition from Nick and Anna to come out on top in the Slalom competition as the 1st Veteran & Reservist, with all three of them placing in the top ten. 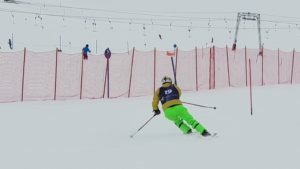 All of the Reservists from 37th Signal Regiment’s team improved their skiing during the camp and supported each other, ensuring that they finished well ahead of close rivals 39th Signal Regiment. As a member of the Army Reserve you not only get paid to learn military skills, leadership and teamwork, but you can also take part in a huge variety of adventure training such as skiing, rock climbing, trekking and scuba diving. 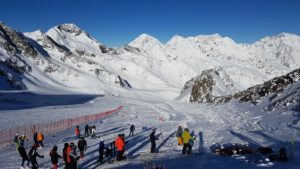 You could potentially learn to ski and race, build your technique, develop ski touring skills and obtain your instructor qualifications. 37th Signal Regiment’s Headquarters are based in Redditch, with further Midlands-based squadrons located Birmingham, Coventry, Stafford and Nottingham. Their main role is to provide networks and infrastructure in support of UK and overseas operations. To find out more about the regiment visit their Facebook page here or contact them on 01572 599314.